The ideal solution for Sheds and Mobile use. 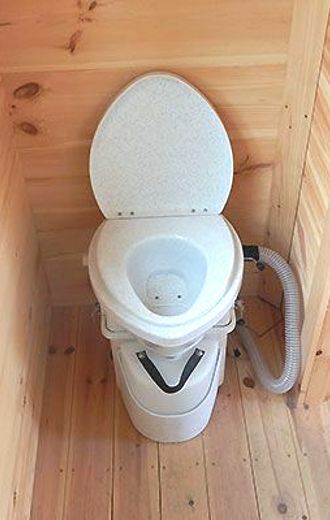 The Nature's Head© Self-contained Composting Toilet is a revolution in the Australian market. This high quality compact portable composting toilet beats anything in our market today, not only in quality, but in price. Our experience, from selling compost toilets over many years, makes us excited to be able to offer this new product to our customers. If you have a caravan, motor home, boat, horse float, shed or workshop where plumbing and/or underground access is not possible, this is THE solution.